Few months ago Bangalore was upset with their beloved elected members (MLAs) because they were on a ‘study tour‘ to Argentina, Chile and Peru. At times we citizens jump to conclusions, we all thought they were wasting money. But now we learn they went for something good – they surely had something to bring back from Buenos Aires (Argentina). 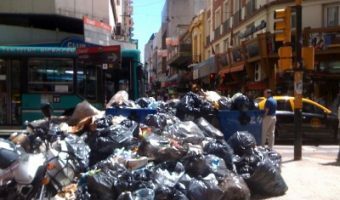 According to the Bangalore Mirror article Buenos Aires shares the same problem as Bangalore – uncleared garbage! But I wonder if Bangalore inherited this garbage problem after our MLAs study tour. Today we received an email from Tata Communications (VSNL), our leased line provider. The govt has asked all their (ISPs in general) customers to get it in writing from their customers about the WiFi usage. The govt, especially under the new Home Minister Chidambaram has been taking some steps to counter terrorism.